A popular high schooler keeps his true identity a secret. Over the past couple of years, with films like Call Me by Your Name, God's Own Country and Princess Cyd finding acclaim, queer cinema has made great strides in finding an audience outside of its traditional niche. That's all well and good if you live in one of the few metropolitan areas where such movies play, but if you're a gay teen living in the 'burbs of Dullsville, Idaho or Middlebrow On Sea, you're not going to have the opportunity to see any of the aforementioned movies at your local multiplex, where six of the eight screens are probably currently taken up by the latest Marvel movie. Besides, the acclaimed LGBTQ+ themed movies are rarely gigglefests, and if you're a gay teen growing up in middle America/England/wherever, you could probably use a laugh. Mainstream teen comedies have featured positive queer characters in the past, but they've generally been relegated to friends/confidants of the straight protagonists in films like Mean Girls and Easy A. Jamie Babbit's 1999 lesbian teen comedy But I'm a Cheerleader might have found a wide audience were it not for the thinly veiled homophobic double standards of the US ratings board, the MPAA, which ensured the target teen audience couldn't see Babbit's film in cinemas. 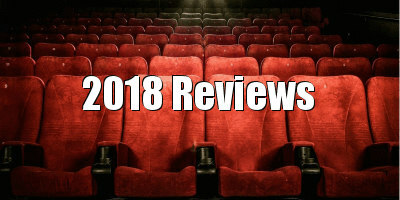 It's a damning indictment of Hollywood that it's taken two decades since Babbit's movie for another queer teen comedy to arrive, but thankfully we live in slightly more enlightened times, and so director Greg Berlanti's Love, Simon has found an audience in the US, and will no doubt prove popular on this more liberal side of the Atlantic. 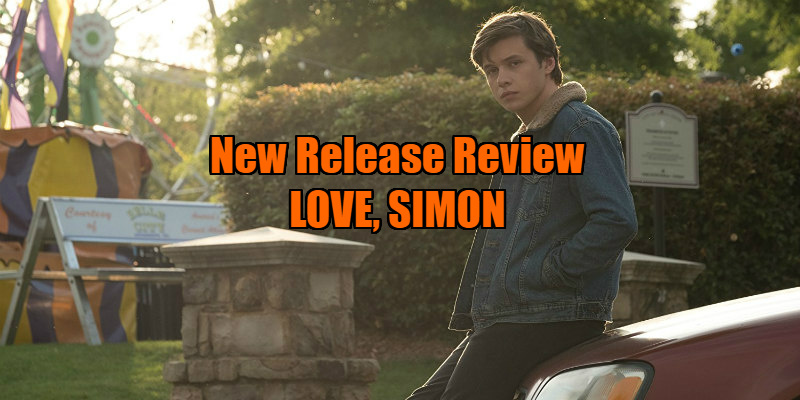 Adapted from the novel 'Simon vs. the Homo Sapiens Agenda' by Becky Albertalli, Love, Simon follows the struggles of the titular high schooler (Nick Robinson, last seen as a very heterosexual horndog in Jurassic World) to come out of the closet (a very roomy closet, given the film's upper middle class American setting). As Simon explains in the obligatory opening voiceover, he lives a typical teenager's life (well, typical for a very rich American teen at least), is loved by his parents (Jennifer Garner and Josh Duhamel) and has a supportive group of friends. By his reckoning, none of the people he cares about would think less of him if he revealed his true identity, but he can't bring himself to make that leap. When an anonymous student begins posting on the school blog about his experiences of life as a closeted teen, Simon is overjoyed to find a kindred spirit, and begins communicating with the boy over email, gradually developing a romantic connection. But with the blogger refusing to reveal his name, can Simon figure out which of the many candidates at his high school he might be? Remove the queer aspect and Love, Simon is essentially a flat-pack mainstream teen comedy. That's no bad thing, as the teen comedy is arguably the sub-genre that Hollywood does best in the 21st century, having honed the formula established by John Hughes in the '80s. It's a genre that's given us some of the best lead performances by young female stars of the last decade - Mae Whitman in The DUFF; Emma Stone in Easy A; Hailee Steinfeld in The Edge of Seventeen - so it's ironic for an entry to come along that asks a lot of a male lead, but Robinson's performance is as charming as that of any of the young actresses who have grasped their chance in the genre. Love, Simon reflects the changing times in more ways than simply its positive representation of teen homosexuality. Its antagonist, the abhorrent Martin (Logan Miller), who blackmails Simon into setting him up with one of his friends (Alexandra Shipp), is very much the school geek, the sort of character teen comedies usually ask us to sympathise with. He's essentially Breckin Meyer in Clueless, if that key genre entry had realised just what a douchebag that character really was. Berlanti's movie realises that standing outside a girl's house with a boombox or hijacking a school sports event to croon a song aren't endearing declarations of love - they're simply creepy at best, obnoxious at worst. Refreshingly, Love, Simon doesn't equate high school popularity with villainy - the popular kids here are also the friendliest, and the jock (Jorge Lendeborg Jr.) is one of the nicest kids in school. There are a couple of stereotypical, aggressive homophobes in a pair of assholes who make life hell for the school's one openly gay pupil, the flamboyant and fabulous Ethan (Clark Moore), but the film is more concerned with condemning a more pervasive, innocuous form of homophobia, such as that of Simon's otherwise liberal father, who makes insensitive Dad jokes around his son, oblivious to what's going on in his child's life. In the film's most touching scene, Simon asks Ethan how he finds it so easy to be openly gay. As Ethan explains, what hurts him most isn't the juvenile antics of his school harassers but rather the lies his mother tells her friends about her son's imaginary girlfriends. While rejigging some of the classic tropes of the teen comedy, Love, Simon isn't quite as tight and well structured as the superior examples of the genre. So focussed is it on the narrative of its lead character that the supporting players have sloppy, often unresolved arcs, and some of the subplots are dealt with in a non-committal fashion. As it deals with the entitlement of young rich males, Martin's storyline is as topical as Simon's, but it's ultimately left hanging in a way that leaves us wondering if he might shoot up the school a week after the movie concludes. Equally half-assed is a subplot involving Simon's long-time platonic friend Leah (Katherine Langford), who harbours a crush on her childhood buddy. 'Everyone deserves a great love story,' reads Love, Simon's tag-line, and gay teens certainly deserve a great love story. Love, Simon isn't quite that great love story, but it's good enough for now, and hopefully it will open a few doors, and closets, for more astute takes on this type of story. 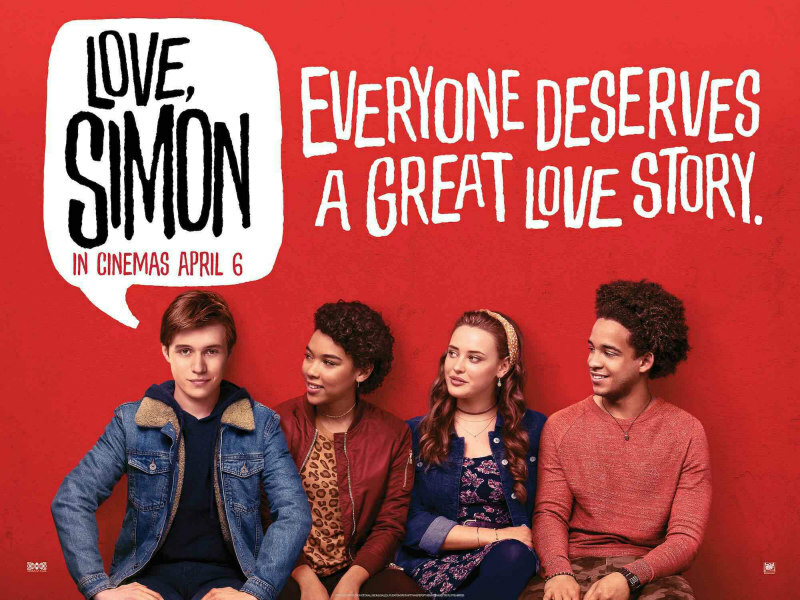 Love, Simon is in UK/ROI cinemas April 6th.